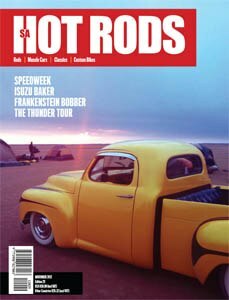 Get the latest issue of SA HotRods Magazine, November issue to see our HOT Miss Happ gals rocking the BACK PAGE PIN UP! The photo used was one from our latest Miss Happ Shoot and really looks amazing - the colours work so well! !